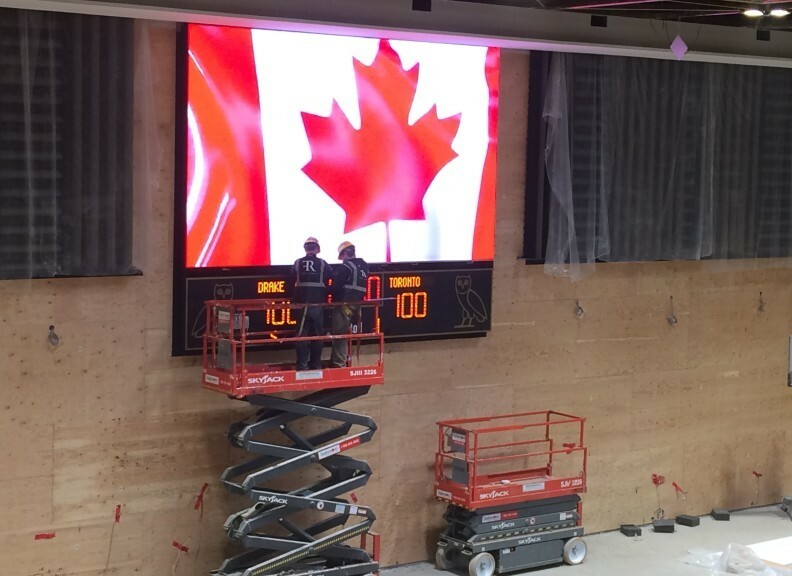 The Scoreboard Man recently installed a state-of-the-art custom Nevco video scoreboard in the entertainer’s personal NBA size gymnasium in Toronto, ON. The new home of DRAKE includes a huge basketball court in the basement where the 3.9mm LED video screen, measuring 9.83H x 16.38’W, with custom scoreboard, back-stop mounted shot clocks and a court-side scoring table are installed. The system is capable of not only displaying timing and scoring, but also running live action, instant replays and other custom animations and graphics to rev up the entertainment factor! 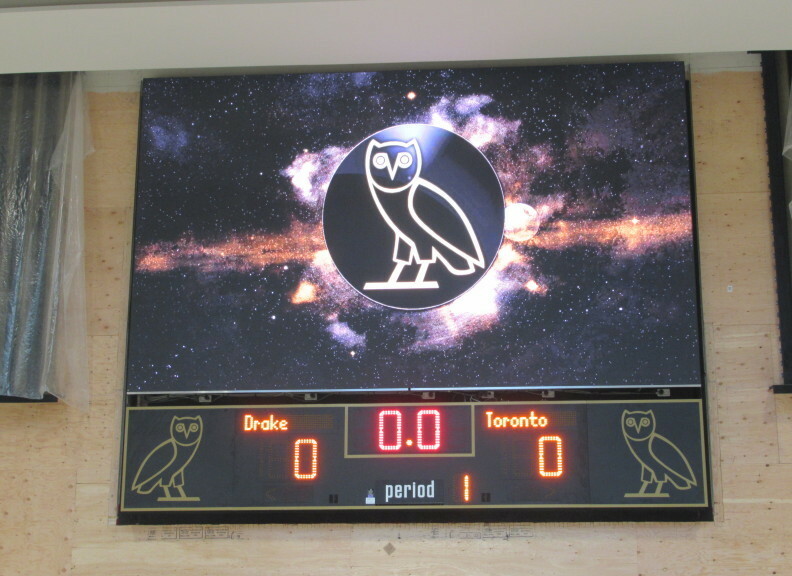 Nevco’s own HYPE creative team has developed custom content for DRAKE’s video display as well as many other big-leaguers in major and minor sports throughout North America.